Paradoxes in physics have a way of clarifying key issues. At the heart of this particular puzzle lies a conflict between three fundamental postulates beloved by many physicists. The first, based on the equivalence principle of general relativity, leads to the No Drama scenario: Because Alice is in free fall as she crosses the horizon, and there is no difference between free fall and inertial motion, she shouldn’t feel extreme effects of gravity. The second postulate is unitarity, the assumption, in keeping with a fundamental tenet of quantum mechanics, that information that falls into a black hole is not irretrievably lost. Lastly, there is what might be best described as “normality,” namely, that physics works as expected far away from a black hole even if it breaks down at some point within the black hole — either at the singularity or at the event horizon. I haven't read these papers, but this conflict sounds crazy to me. Unitarity is not a fundamental tenet of quantum mechanics. It is not a physical principle at all, and there is no physical evidence for it. It is only thought to be important by those with some philosophical disagreement with wave function collapse. The idea that Alice will be incinerated by a massive wall of fire upon entering a black hole sounds a little bit like the story of Lot's wife in the Bible. Born comments: "I too had considered this postulate [that physics should represent a reality in time and space] to be one which could claim absolute validity. But the realities of physical experience had taught me that this postulate is not an a priori principle but a time-dependent rule which must be, and can be, replaced by a more general one." Einstein wants to reject quantum mechanics in favor of some sort of hidden variable theory, and his buddy Max Born cannot convince him that the probabilities are essential. In my opinion, they were both wrong. Well, more precisely, it's nice and informative if you assume that her task was to uncritically promote the views of Joe Polchinski, Leonard Susskind, Raphael Bousso, and a few others. From a more objective viewpoint, the article's main message is wrong and the text misinterprets the state of the research, too. Over the last decade or so, my great respect for some of the most famous names in high-energy physics was diminishing and this trend has become undeniable by now. It seems to me that my previous worries about the apparent deterioration of meritocracy within the field have turned out to be a tangible reality. "Unitarity is not a fundamental tenet of quantum mechanics. It is not a physical principle at all, and there is no physical evidence for it." Once again, you reveal that you do not understand basic quantum mechanics. Schrodinger's equation is equivalent to the statement that time translation acts as a unitary operator on the Hilbert space of states of a quantum system. So yeah, unitarity is a very fundamental and well tested principle of quantum mechanics. "It is only thought to be important by those with some philosophical disagreement with wave function collapse." Or maybe by those who have actually understood how decoherence works? The Schroedinger equation Hilbert space evolution is a mathematical principle. Yes, unitarity is mathematically convenient. But where is the physical evidence? By understanding decoherence, you mean subscribing to some particlar interpretation of quantum mechanics. Some interpretations use wave function collapse, and some do not. The collapse is not unitary. If someone actually did an experiment to show that wave functions do or do not collapse, then he would have gotten a Nobel Prize. But of course no one has done that. That is why they are called interpretations. "Yes, unitarity is mathematically convenient. But where is the physical evidence?" Is this a serious question? There are tons of well known solutions of Schrödinger's equation that accurately describe real physical systems. By solving Schrödinger's equation, you can describe the Hydrogen atom for example, and by applying perturbation theory, you can describe other atoms of the periodic table. Schrödinger's equation also makes lots of predictions in solid state physics, which forms the basis for all sorts of technologies. Schrödinger's equation is not some crazy speculation; it's an extremely well tested postulate of quantum mechanics. "By understanding decoherence, you mean subscribing to some particlar interpretation of quantum mechanics. Some interpretations use wave function collapse, and some do not. The collapse is not unitary." Some people like to supplement decoherence with wavefunction collapse, but the reasons for doing this are purely philosophical. There is no evidence of any nonunitary processes in quantum mechanics. "If someone actually did an experiment to show that wave functions do or do not collapse, then he would have gotten a Nobel Prize. But of course no one has done that." Didn't Serge Haroche win the Nobel Prize just a few months ago for his experimental measurements of decoherence? 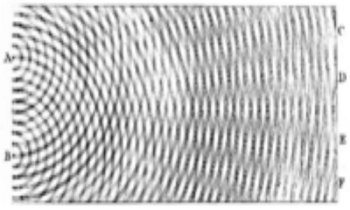 These measurements don't "prove" that wavefunctions do not collapse, but they make such processes completely unnecessary for explaining observations. Quantum mechanics has been described since 1930 in terms of unitary evolution and non-unitary collapse. The collapse is experimentally observed, but some people say that it is just an illusion related to decoherence. There is no consensus over whether the collapse is necessary. As you say, some regard it as a philosophical issue. That means that there is no known experiment that can say whether the collapse is needed, and no known experiment to tell us whether the time evolution is entirely unitary. 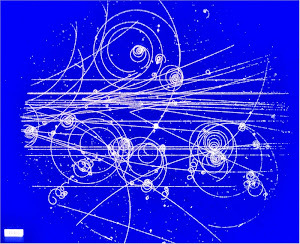 If Serge Haroche or anyone else did experimental measurements to prove that wavefunctions do not collapse, that would be huge news, like finding the Higgs boson. It would upset 80 years of quantum mechanics. No one has done that. Decoherence is an observed phenomenon which explains perfectly well why quantum states appear to collapse. You can postulate nonunitary evolution if you want to, but you might as well say that angels play a role in quantum measurements. There's just no evidence that it's necessary. That's why people say there is a conflict between quantum mechanics and information loss in black holes. I am not the one postulating non-unitary wave-function collapse. Every quantum mechanics textbook since 1930 has. For example, it is described in Steven Weinberg's brand new textbook, altho he calls it "mysterious" on p.88 and discusses other interpretations also. Here is a simple proof that unitary evolution is not necessary. Consider the Schroedinger equation Hψ = ihdψ/dt, where h is really h-bar. If you replace it with Hψ = ihdψ/dt - 3ihψ, then you get wave-functions that grow exponentially with time. But the normalized wave-functions are the same, so the observable predictions are exactly the same. Thus I can predict the experiments with non-unitary evolution. Peter Woit just posted some comments ridiculing the supposed paradoxes of black hole quantum mechanics. There is a great example of scientists speculating about angels. There is no substance behind those black hole firewall papers. I would say that the authors are crackpots, except that they have other accomplishments. I see now that Weinberg wrote a paper a year ago on Collapse of the State Vector. He describes quantum mechanics interpretations that have and don't have collapse, but says that none of them are "entirely satisfactory". So I am not the only one who says that unitarity is not a fundamental tenet of quantum mechanics. "Consider the Schroedinger equation Hψ = ihdψ/dt, where h is really h-bar. If you replace it with Hψ = ihdψ/dt - 3ihψ, then you get wave-functions that grow exponentially with time. But the normalized wave-functions are the same, so the observable predictions are exactly the same." I'm not sure where this bizarre argument came from. The Hamiltonian that you've written down is not self-adjoint and therefore cannot represent an observable quantity. "I see now that Weinberg wrote a paper a year ago on Collapse of the State Vector. He describes quantum mechanics interpretations that have and don't have collapse, but says that none of them are 'entirely satisfactory'." This is an argument from authority. It's easy to find physicists, even high-profile ones like Weinberg, who are uncomfortable with quantum mechanics. But I see no scientific reason why the theory cannot be given a straightforward interpretation in which states evolve by unitary transformations. Yes, it is an argument from authority. When I say that unitarity is not a fundamental tenet of quantum mechanics, I am relying on textbooks and leading experts. It is possible to believe in unitarity, but it not the way that quantum mechanics is usually understood.